If you Want to get the film in VHS format, clik here. 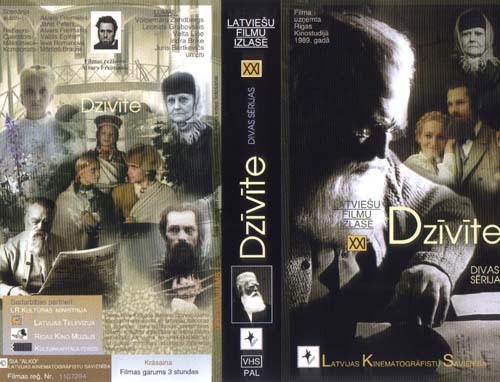 The film is dedicated to the memory of the famous Latvian collector of folk songs (dainas) Krisjanis Barons - called "Father of Dainas". Dainas - the enciclopedia of Latvian people's life, the poetical reflection of the wisdom accumulated through the centuries - forms the basis of Latvian culture. This work recquired selfdenial and immense erudition. But at the same time Barons was also a father of a family. The movie depicts his relations with his devoted wife Darta, who brought up their children and faithfully waited for him all the life, while he was studying and working in Russia. Information provider:LKS. Information provider is responsible for the contents of published materials.